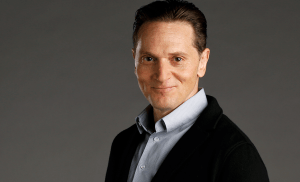 The name ‘Gavin Belson’ has earned many accolades over the years: serving as Chief Innovation Officer at Hooli, founding and co-leading Nucleus compression technology, and generally making the world a better place. Now, DreamFactory is proud to announce that Gavin Belson has joined its advisory board, bringing with him a plethora of experience to help guide and mentor the upcoming Middle-Out Middleware launch. Gavin’s advocacy has seen a number of Fortune 500 companies queue up to prototype just what sort of synergies this could translate into. One company’s CTO, remaining under NDA, told us “[t]his is the big release we have all been waiting for“. Interested in trialling Middle-Out Middleware yourself? Launch is officially on 1 April 2019, and for the low low price of $3m USD p.a., your company could be charging forward with a platform unleashing the benefits that come with a Weissman score of 5.2. What does this really mean? Contact DreamFactory to find out more! Tokyo, midday on a Friday. My phone kept buzzing during my customer meeting. The day was a workday, a day of travel and the day a personal property purchase was due to settle. Little did I know it was also the day I was the target of a “port-out” scam. © 2018 DreamFactory Software, Inc.